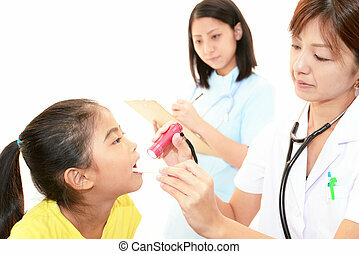 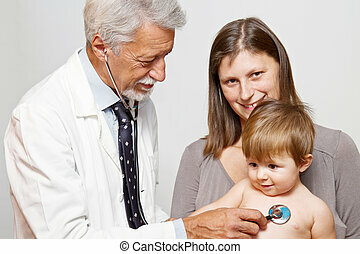 Doctor examining a child patient by stethoscope. 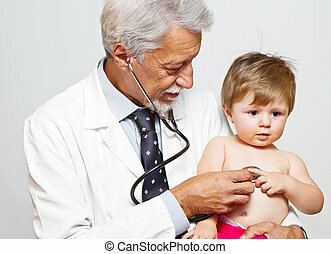 Doctor examining a child patient by stethoscope. 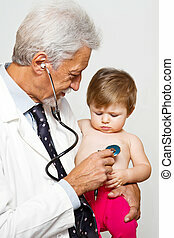 Doctor examining a child patient by stethoscope. 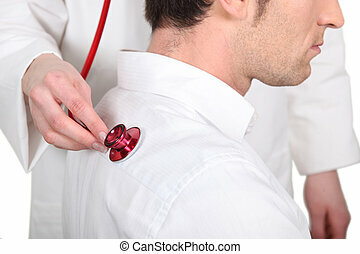 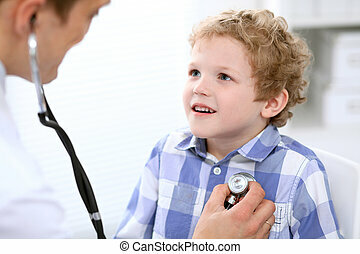 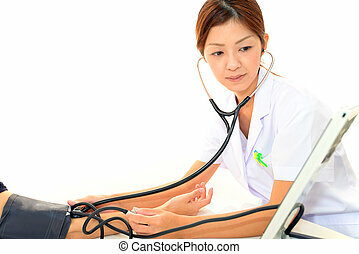 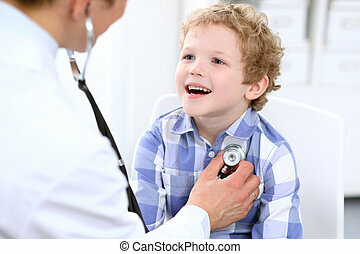 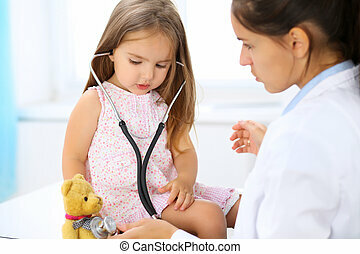 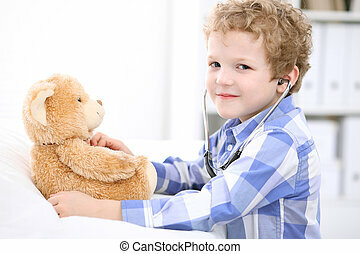 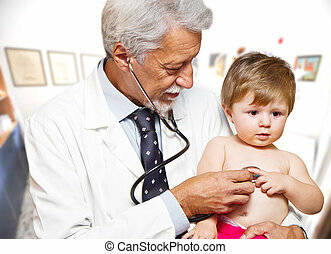 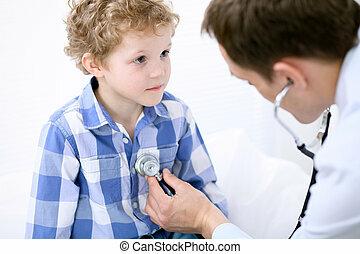 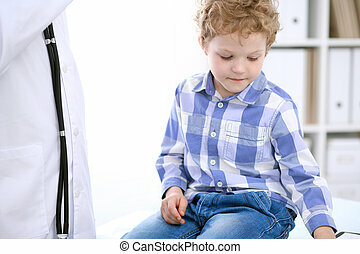 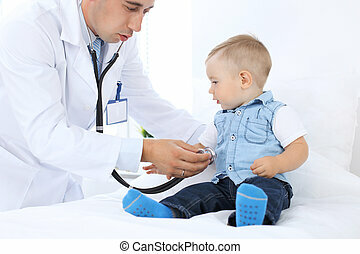 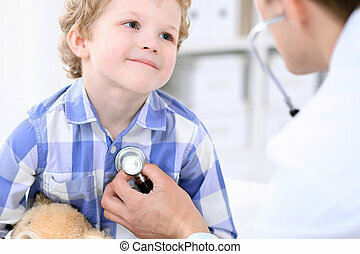 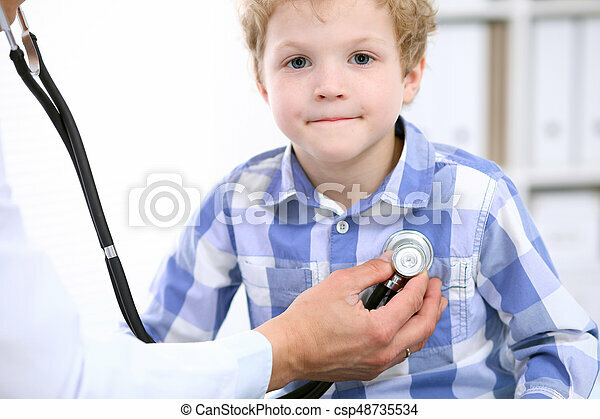 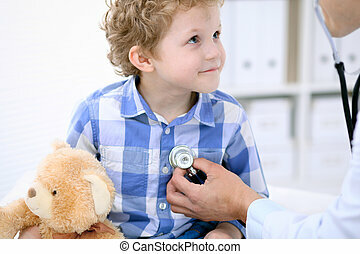 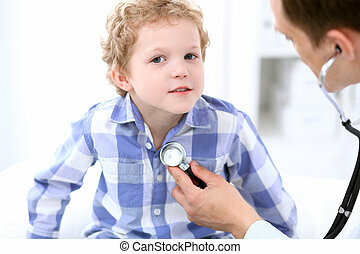 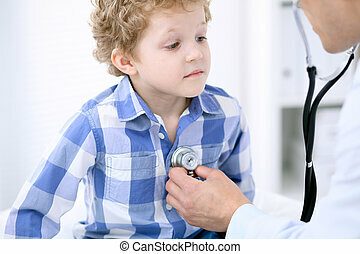 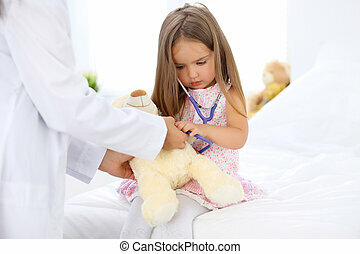 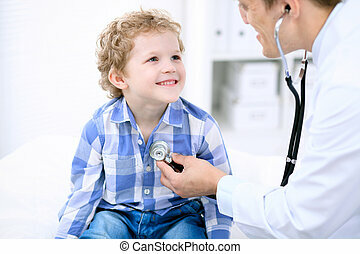 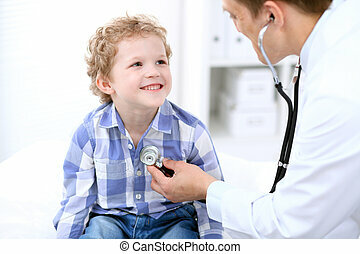 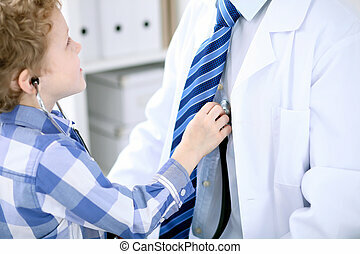 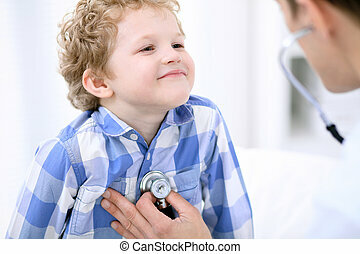 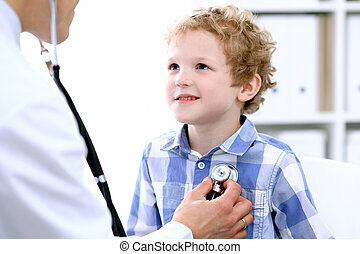 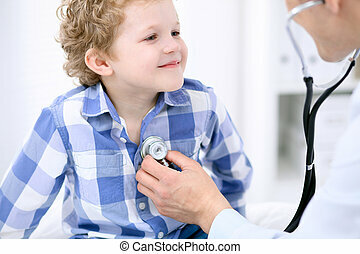 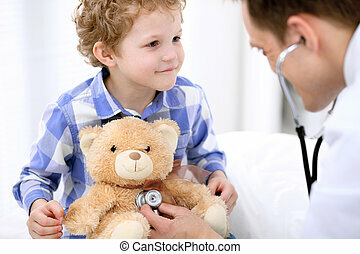 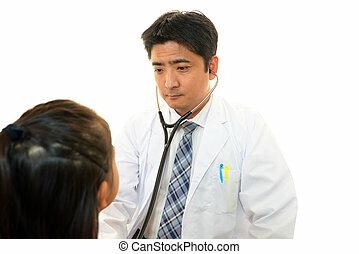 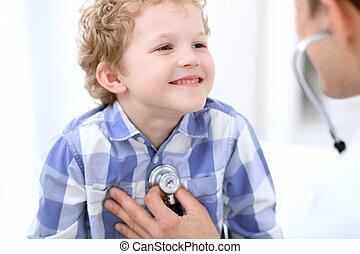 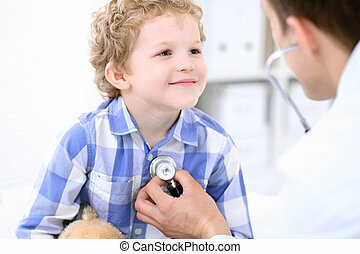 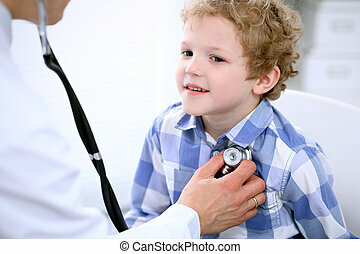 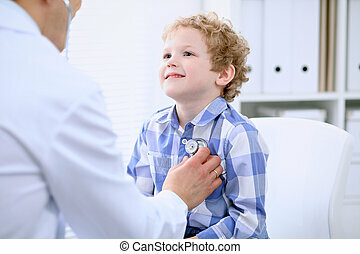 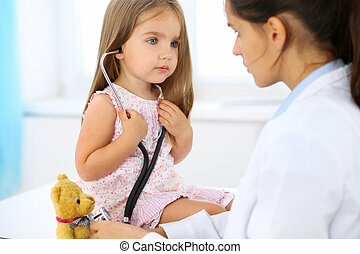 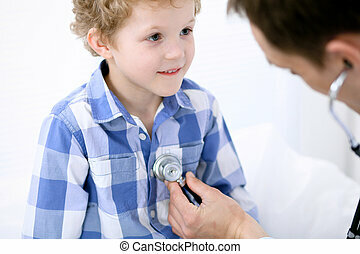 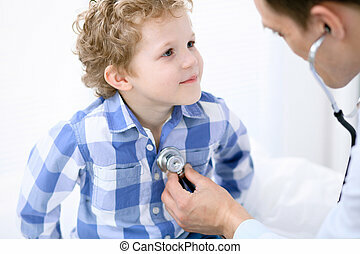 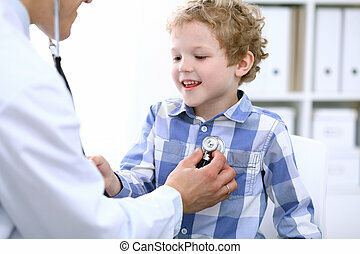 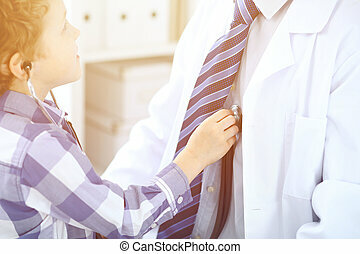 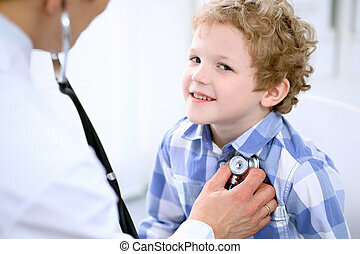 Child patient examining his doctor by stethoscope. 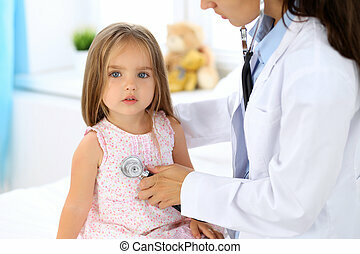 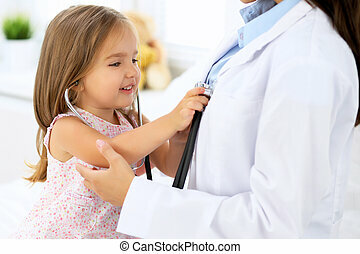 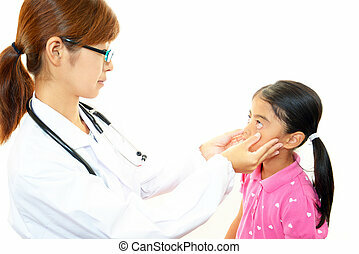 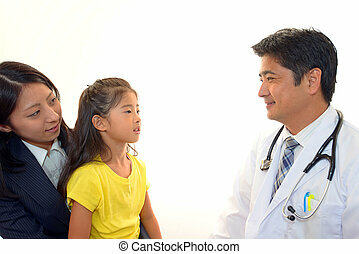 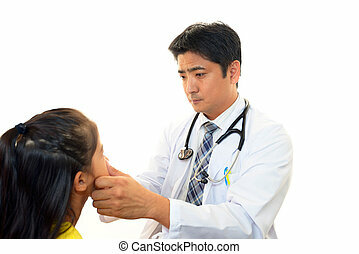 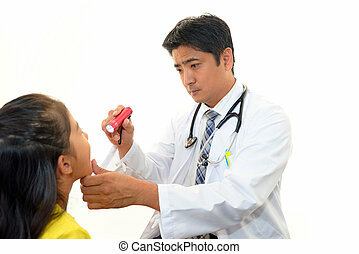 Doctor examining a little girl by stethoscope.